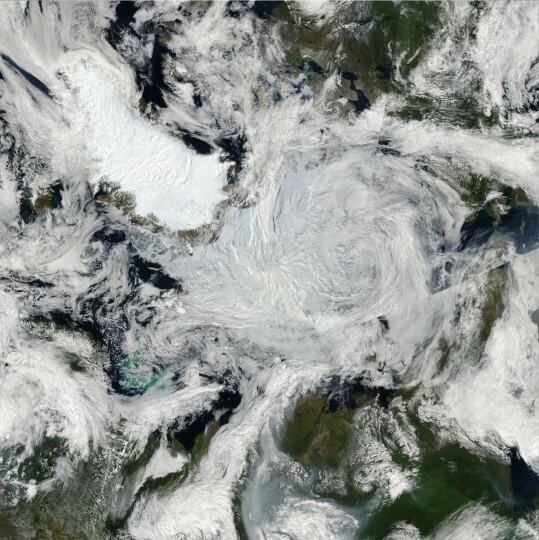 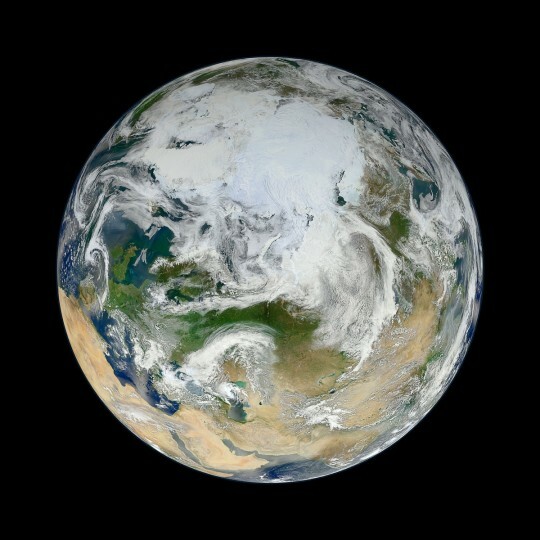 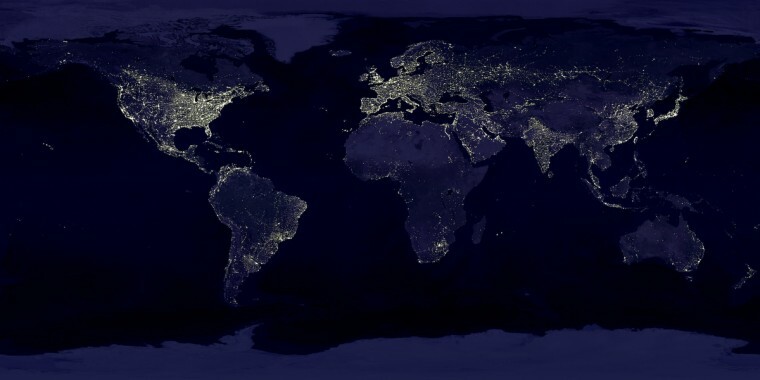 In the early days of space flight, the pictures harvested by the National Aeronautic and Space Administration (NASA) were blurry gray images that resembled a bad weather map. 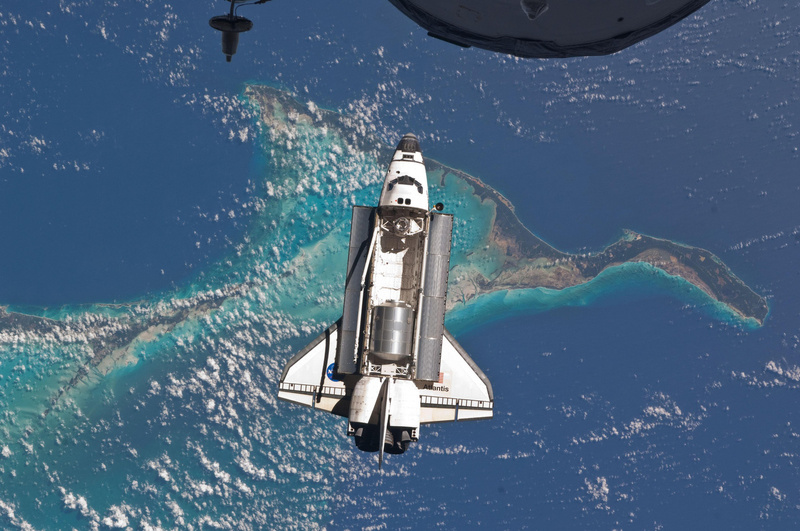 With the advent of new technology and better platforms to photograph from, such as the space shuttle and International Space Station, NASA is able to provide us with an amazing viewpoint of Earth. 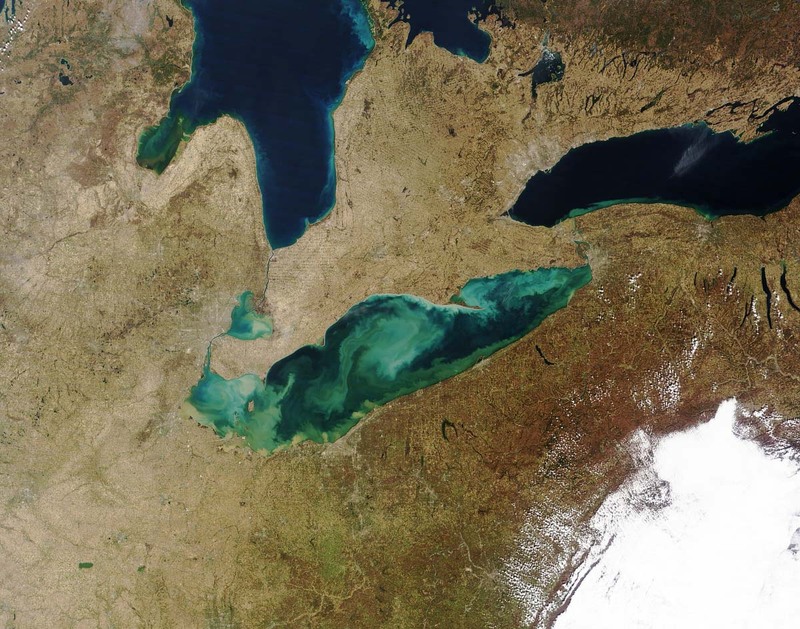 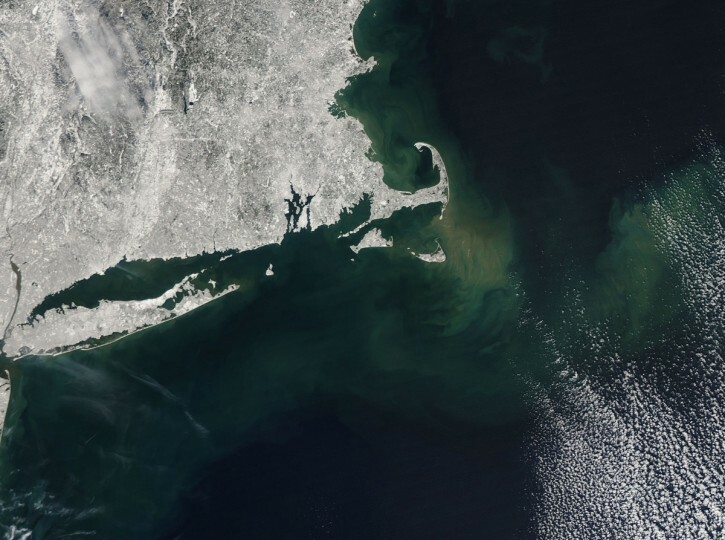 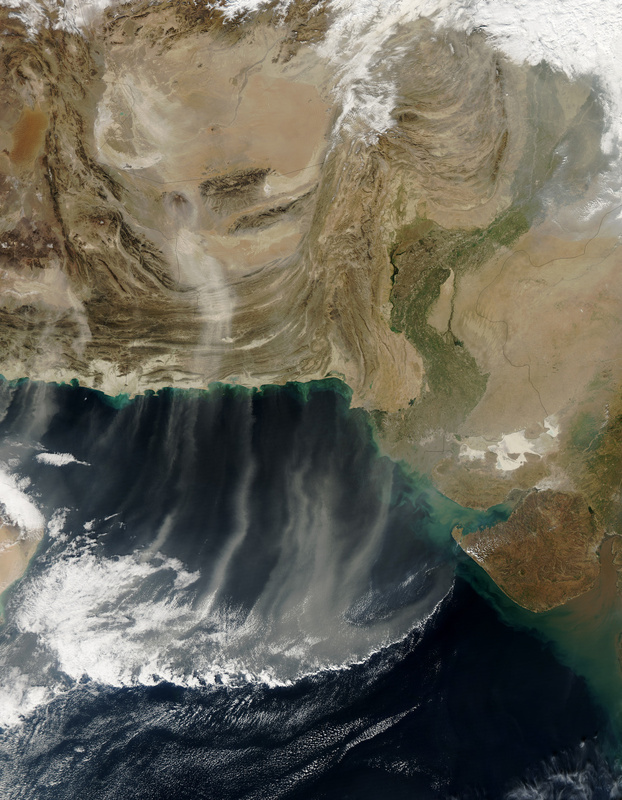 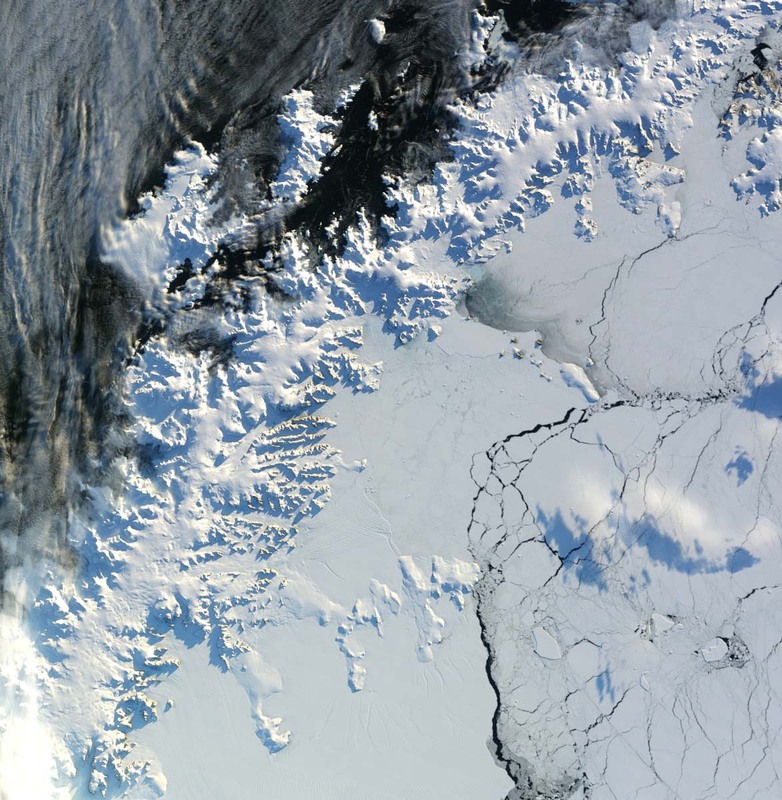 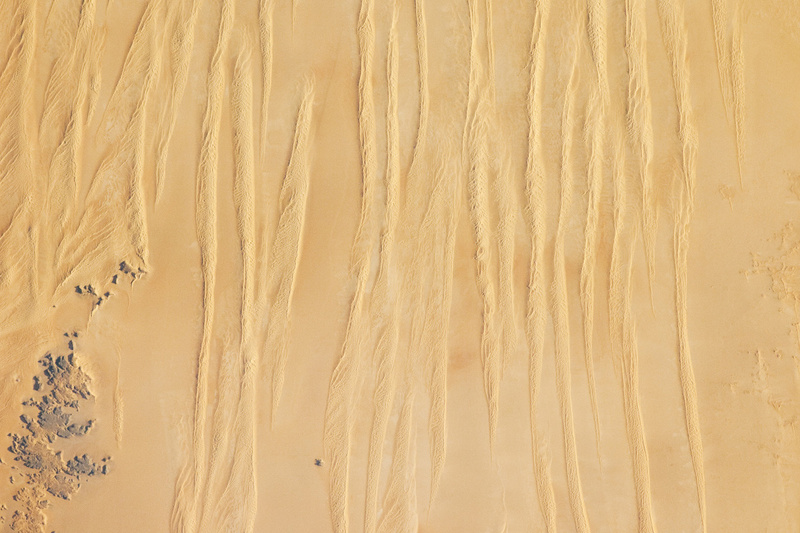 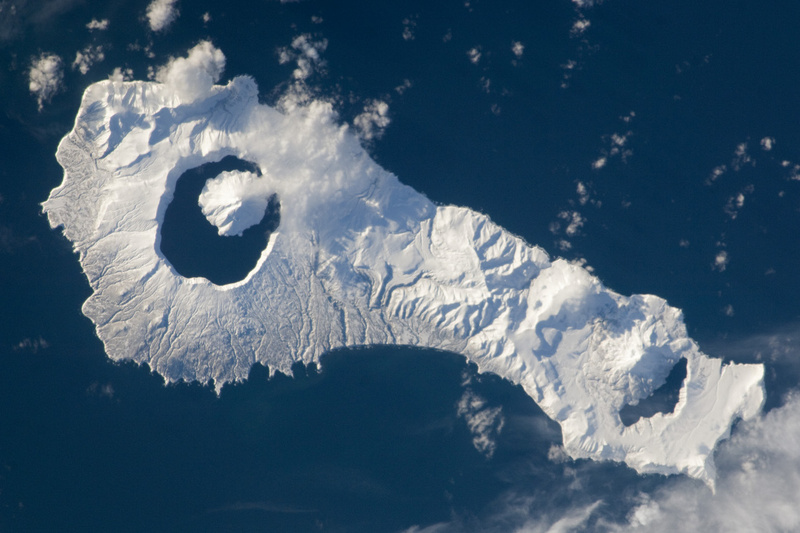 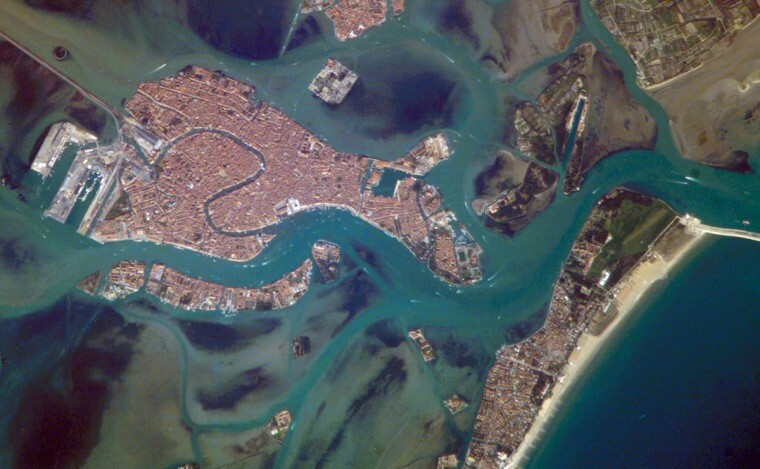 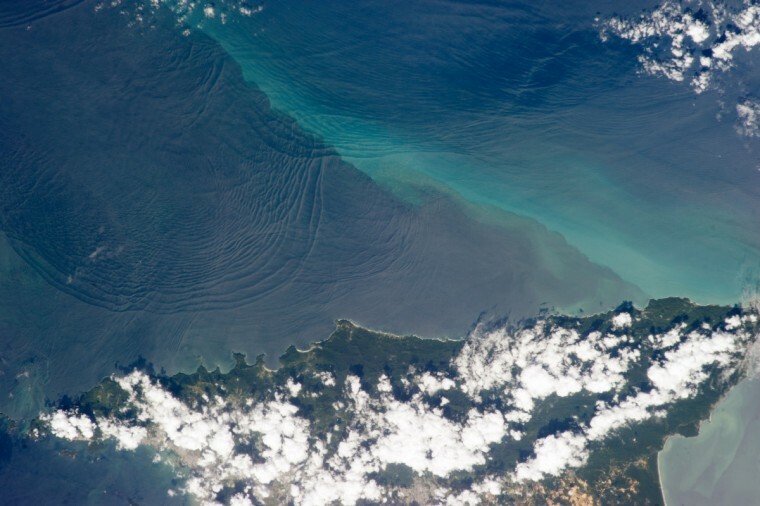 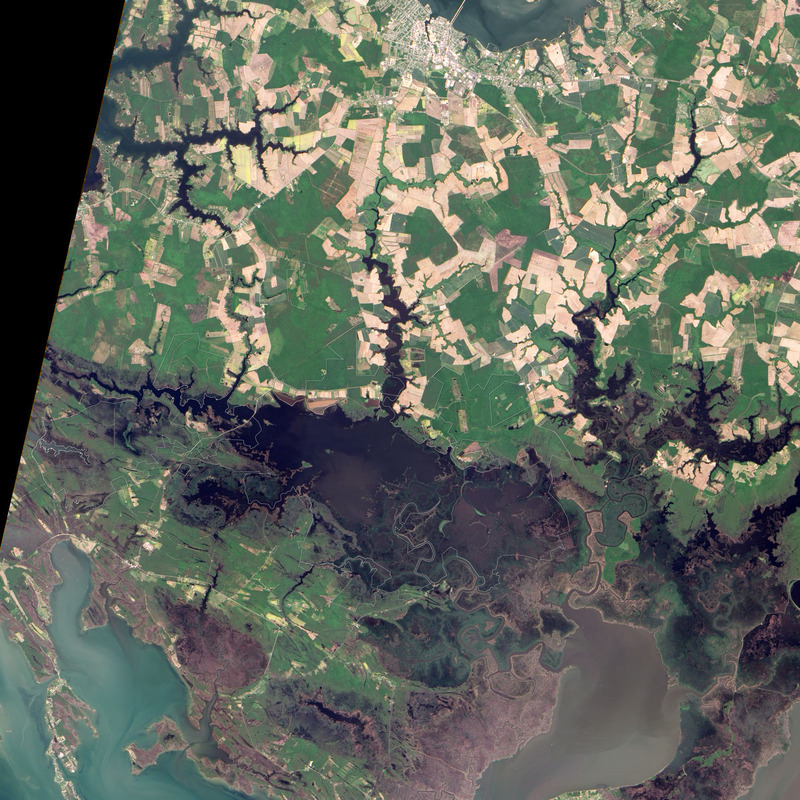 In honor of Earth Day, view memorizing photos of the blue planet from space. 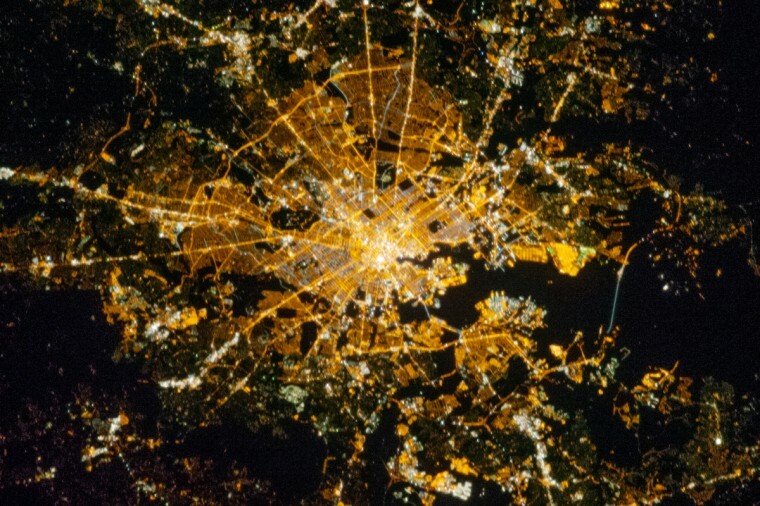 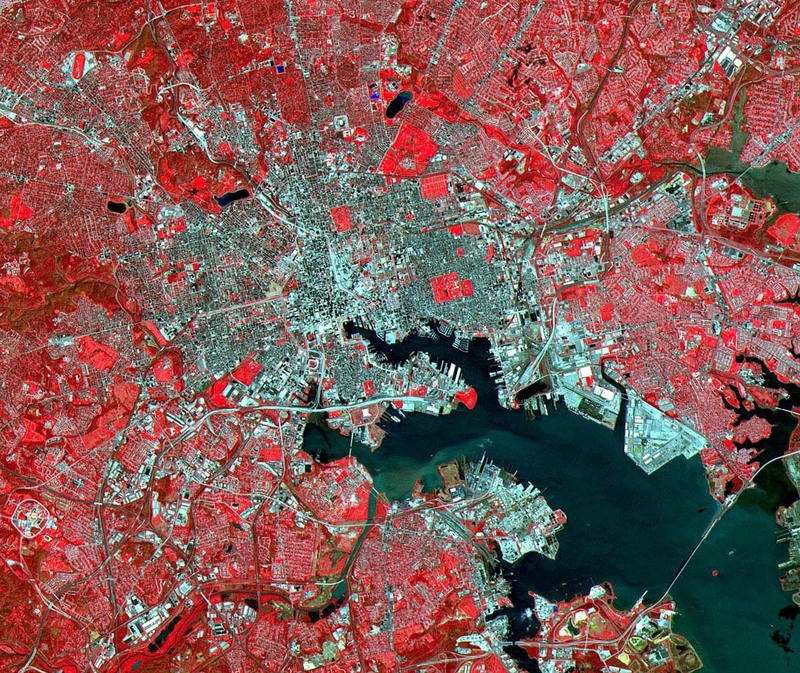 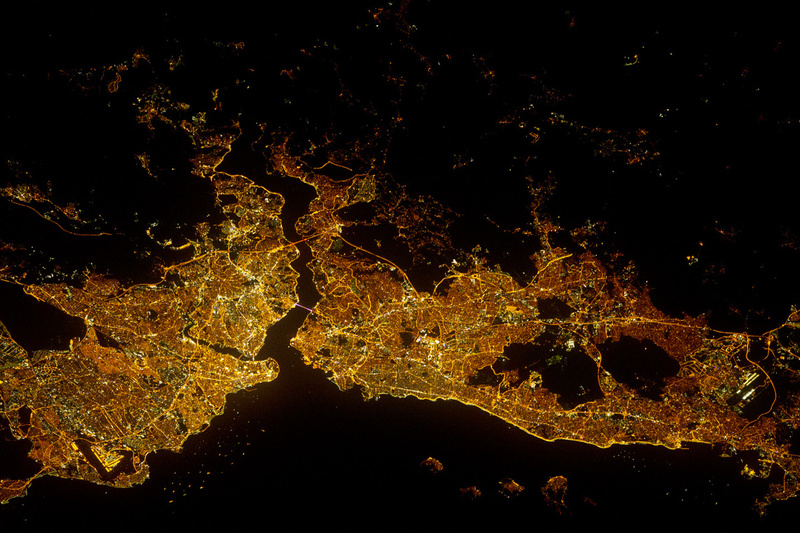 This Advanced Spaceborne Thermal Emission and Reflection Radiometer (ASTER) image of Baltimore was acquired on April 4, 2000, and covers an area of 17 by 20 km. 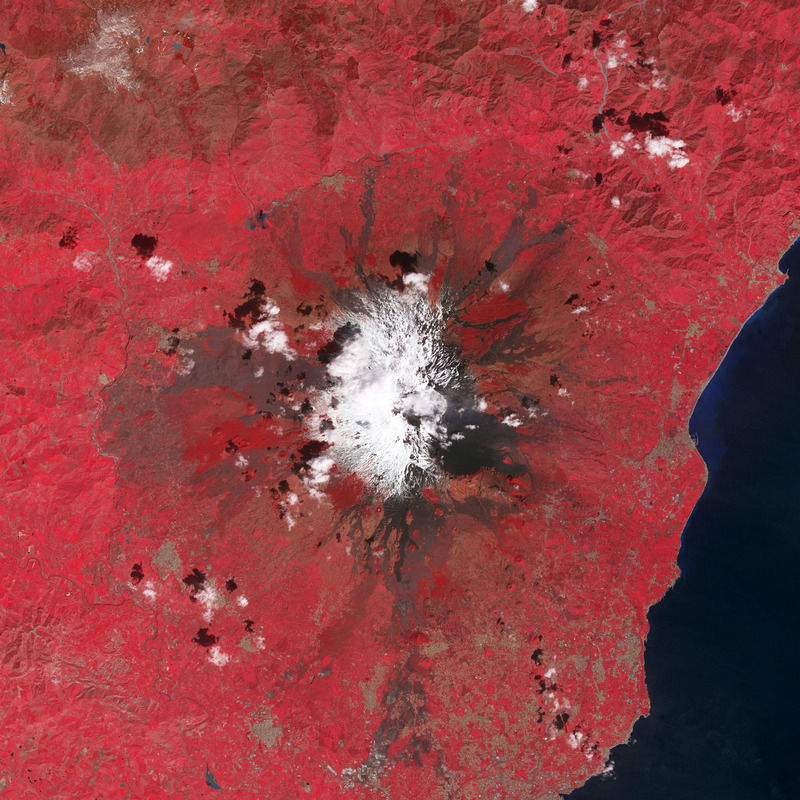 Combining green, red, and near-infrared light to create a false-color composite, the image shows vegetation as red, water as blue, and urban areas as grey. 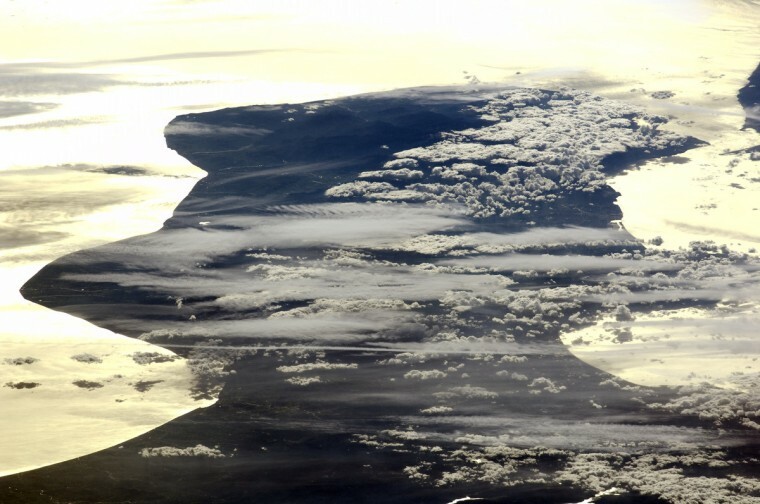 This astronaut photograph shows the Calabria region of southern Italy – the toe of Italy’s “boot” – outlined by the Ionian and Tyrrhenian Seas to the southeast and northwest respectively. 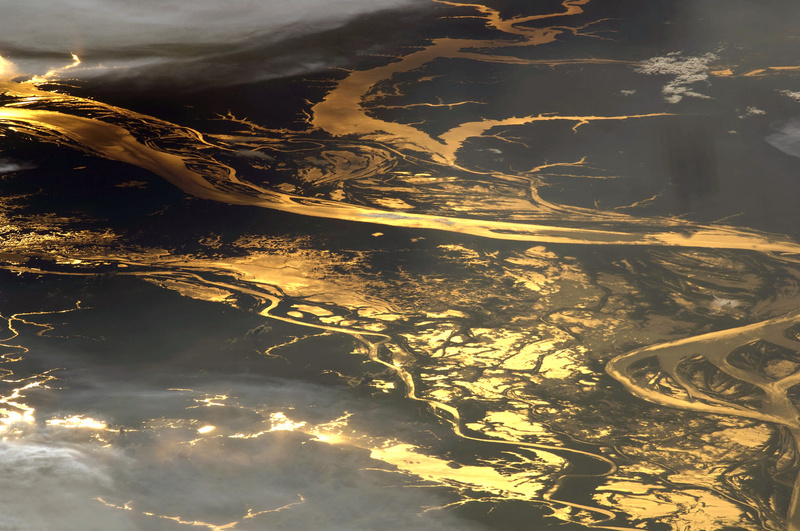 The water surfaces present a mirror-like appearance due to sunglint. 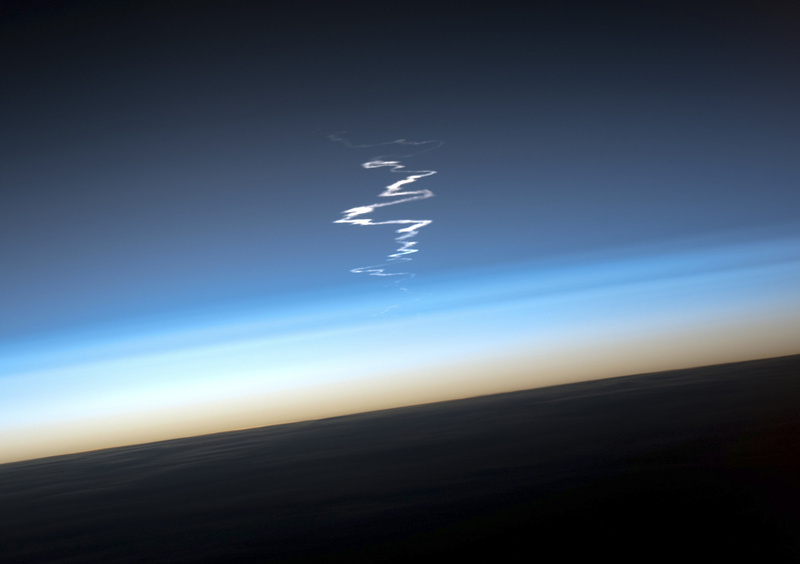 This phenomenon is caused by sunlight reflecting off the water surface directly back towards the astronaut observer on board the International Space Station (ISS). 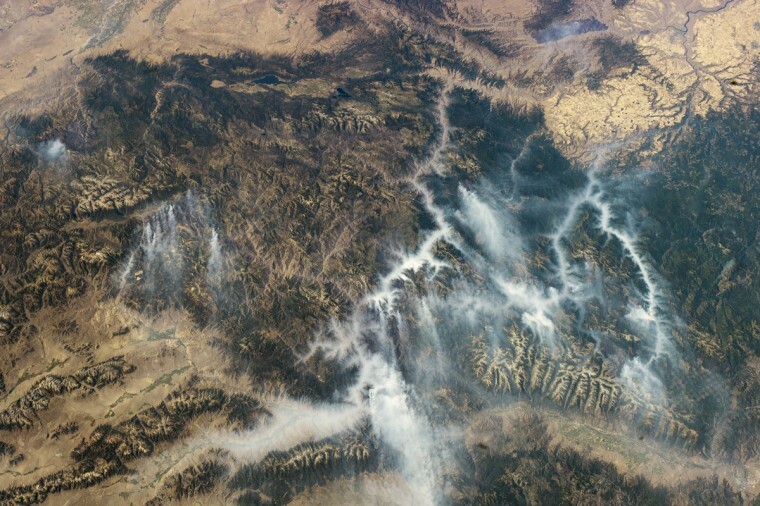 The ISS was located over northwestern Romania, approximately 1,040 kilometers to the northeast of Calabria, when this image was taken. The Calabrian Peninsula appears shortened and distorted due to the extreme sideways viewing angle from the ISS. 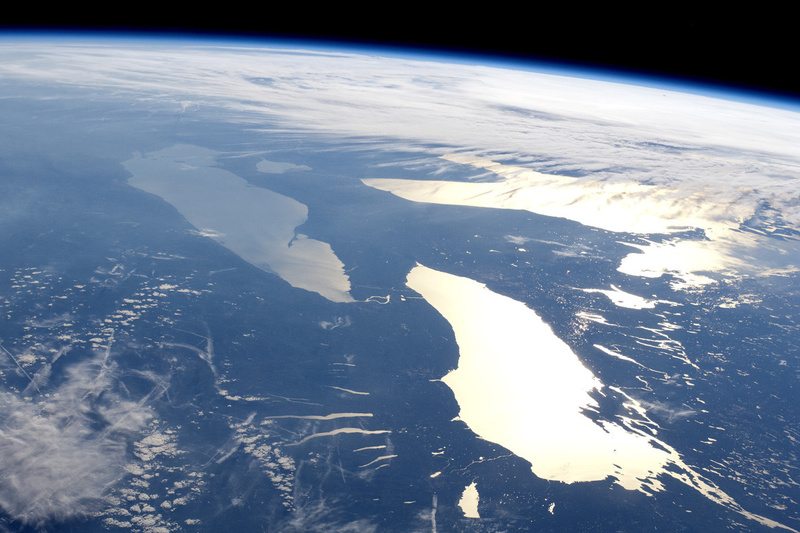 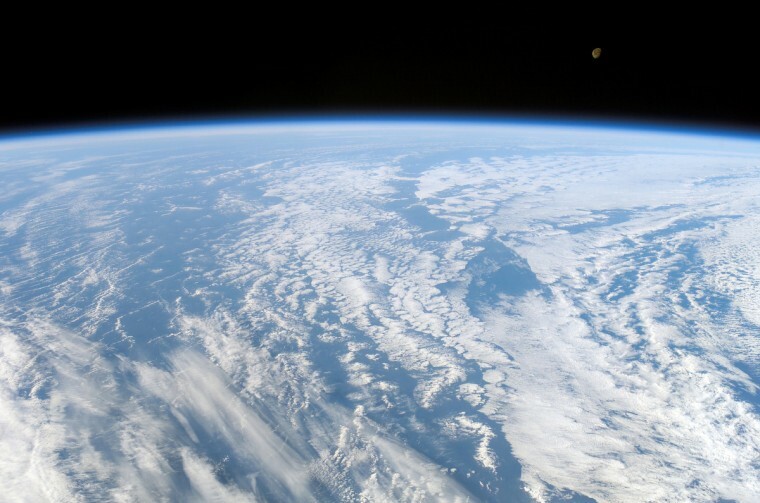 Such a perspective is termed oblique, as opposed to a nadir view, in which the astronaut is looking directly downwards towards the Earth’s surface from the ISS. 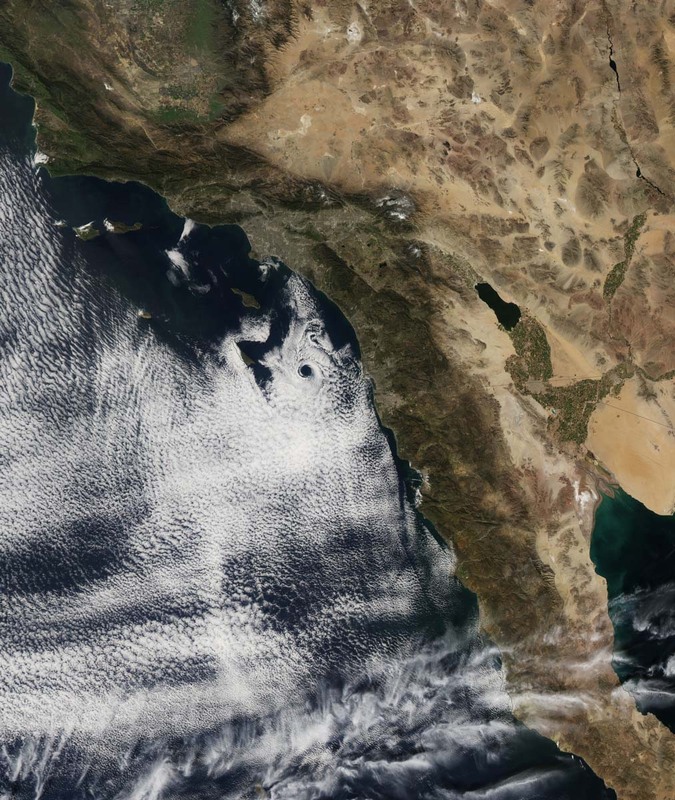 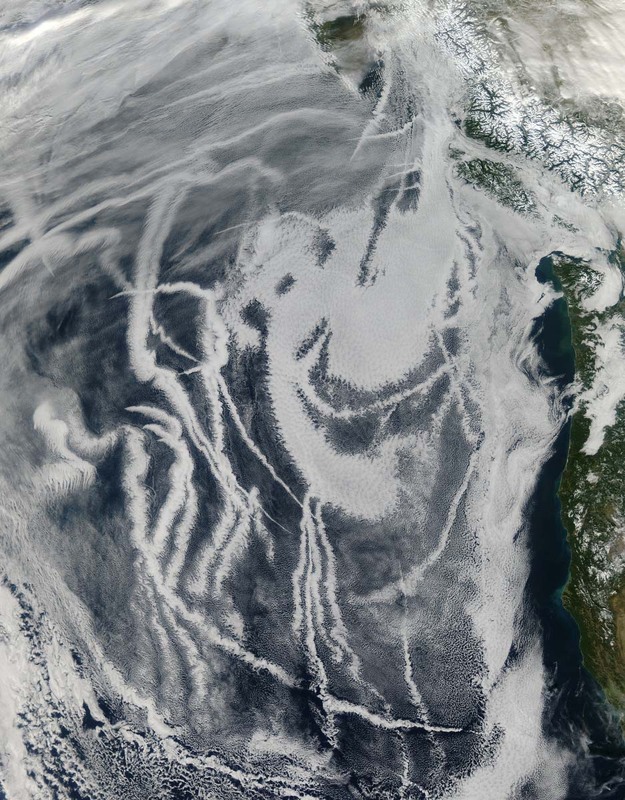 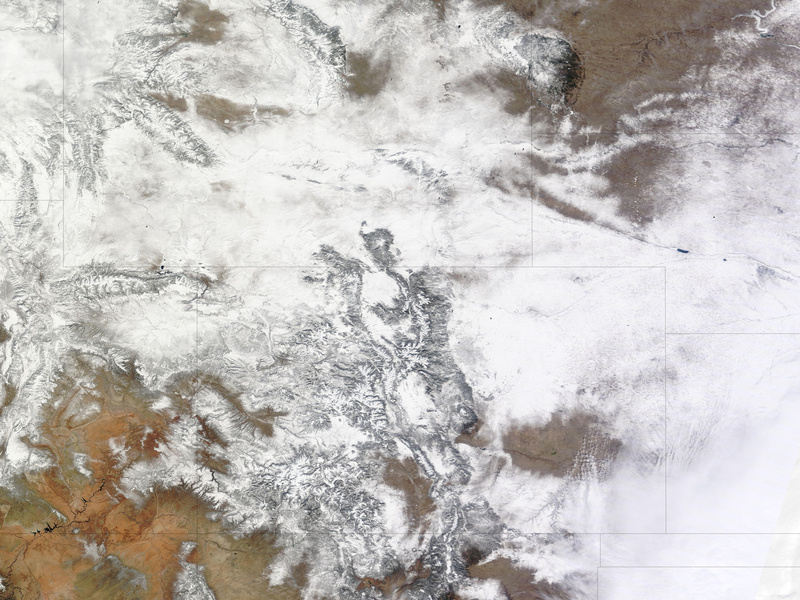 This highly oblique view also highlights two distinct cloud patterns over the Calabrian interior. 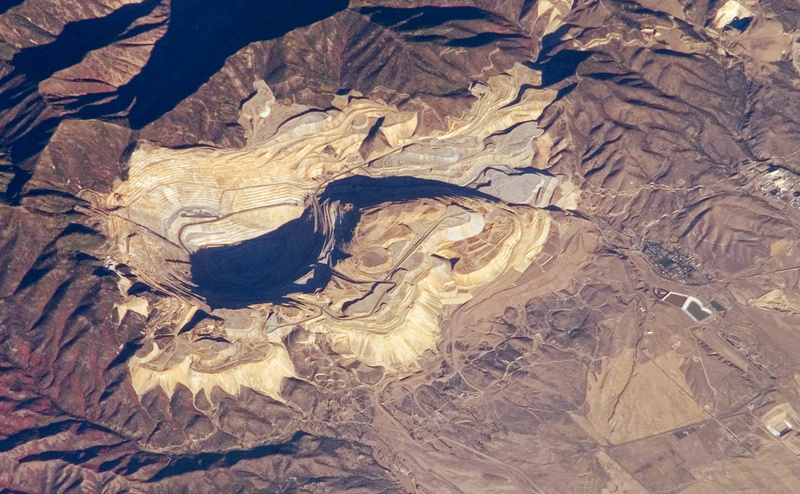 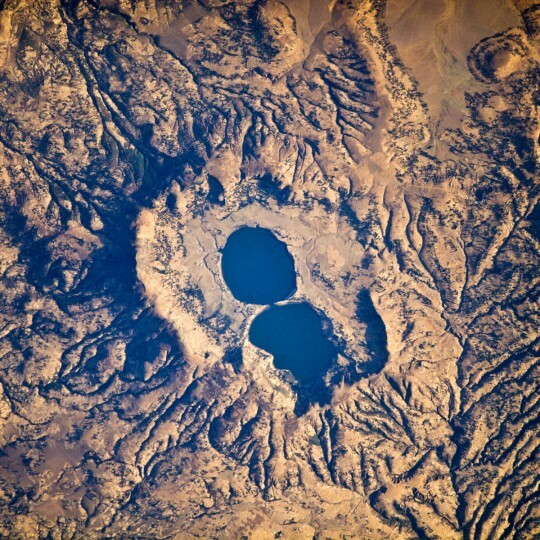 The Ouarkziz Impact Crater is located in northwestern Algeria, close to the border with Morocco. 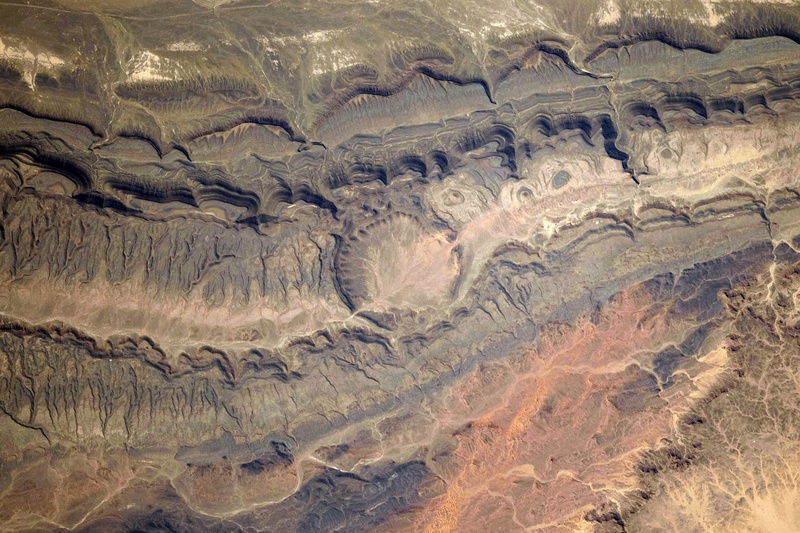 The crater was formed by a meteor impact less than 70 million years ago, during the late Cretaceous Period of the Mesozoic Era, or “Age of Dinosaurs.” Originally called Tindouf, the 3.5-kilometer wide crater (image center) has been heavily eroded since its formation; however, its circular morphology is highlighted by exposures of older sedimentary rock layers that form roughly northwest to southeast-trending ridgelines. 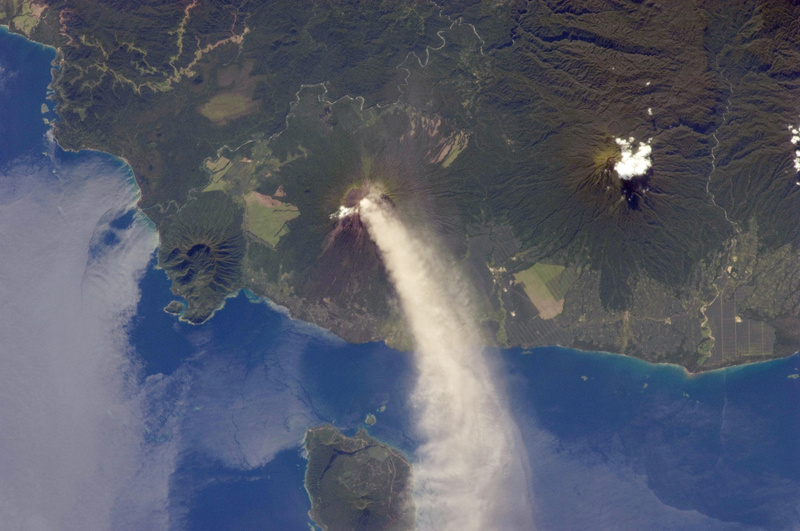 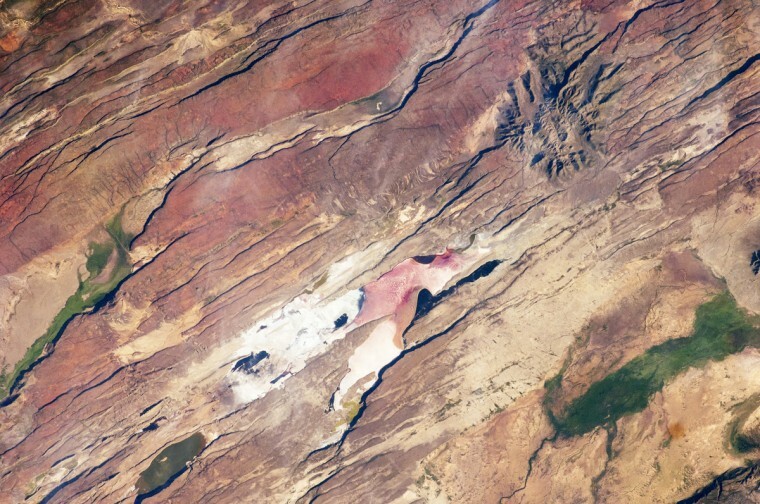 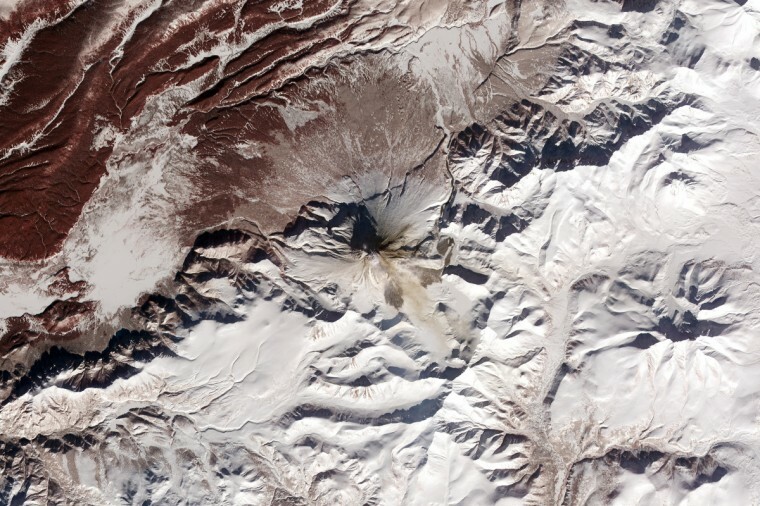 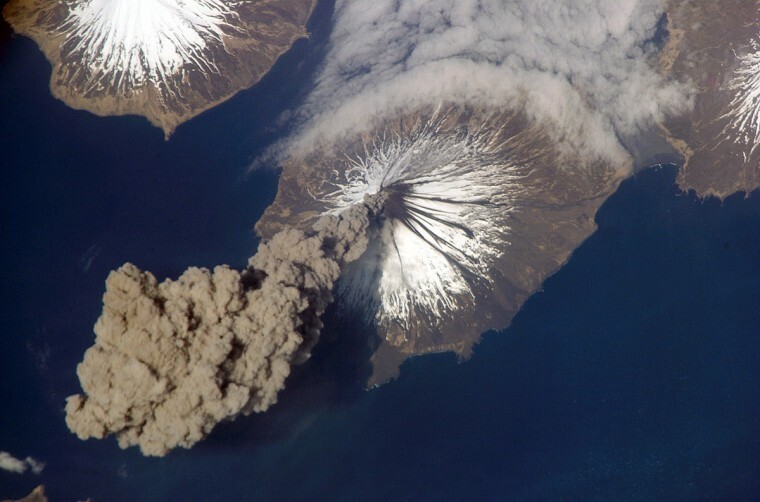 From the vantage point of an astronaut on the International Space Station, the impact crater is clearly visible with a magnifying camera lens. 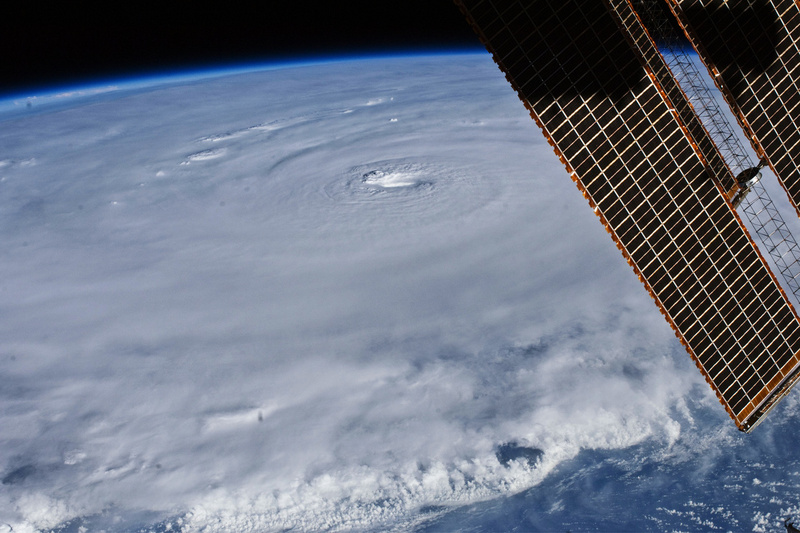 The relatively placid view from the International Space Station belied the potent forces at work in Hurricane Earl as it hovered over the tropical Atlantic Ocean on August 30, 2010. 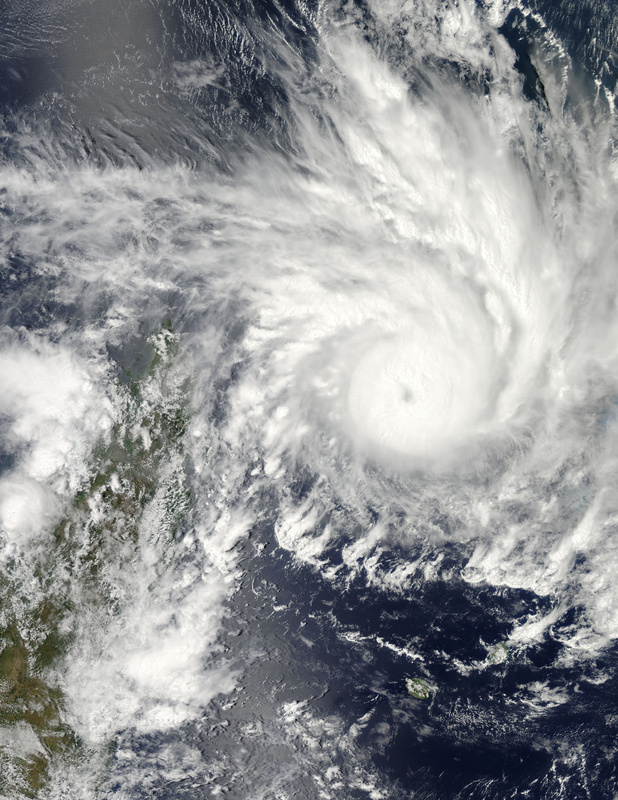 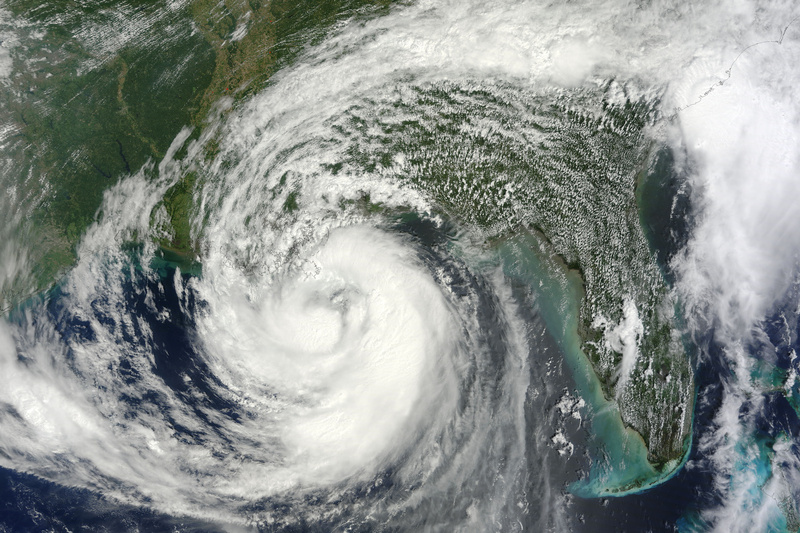 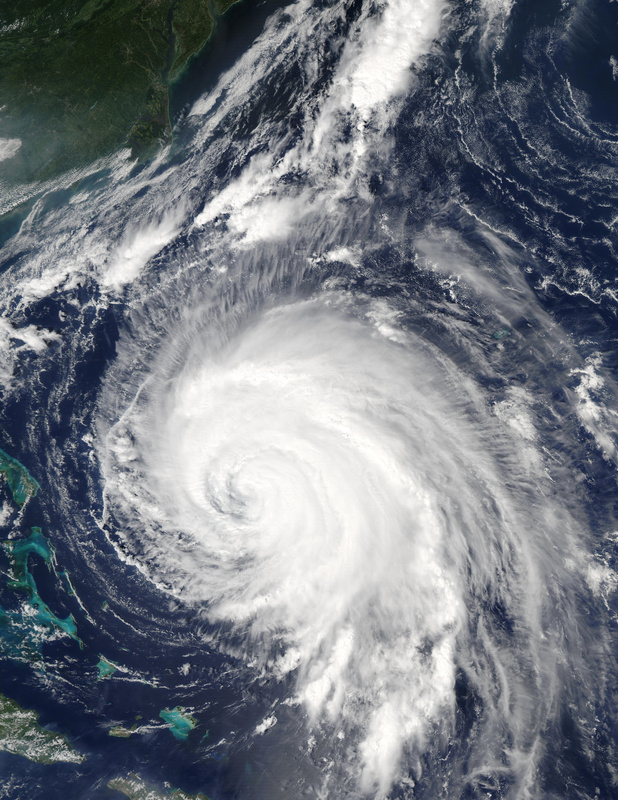 With maximum sustained winds of 135 miles (215 kilometers) per hour, the storm was classified as a category 4 on the Saffir-Simpson hurricane scale as it passed north of the Virgin Islands. 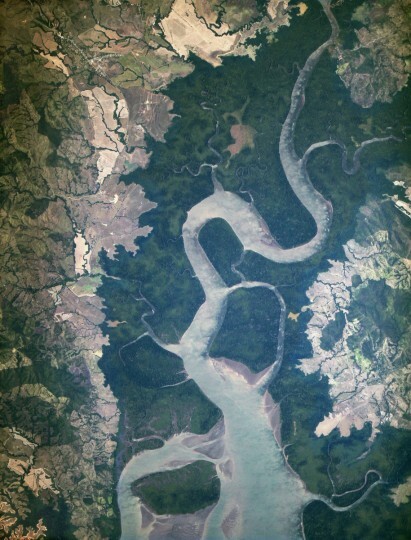 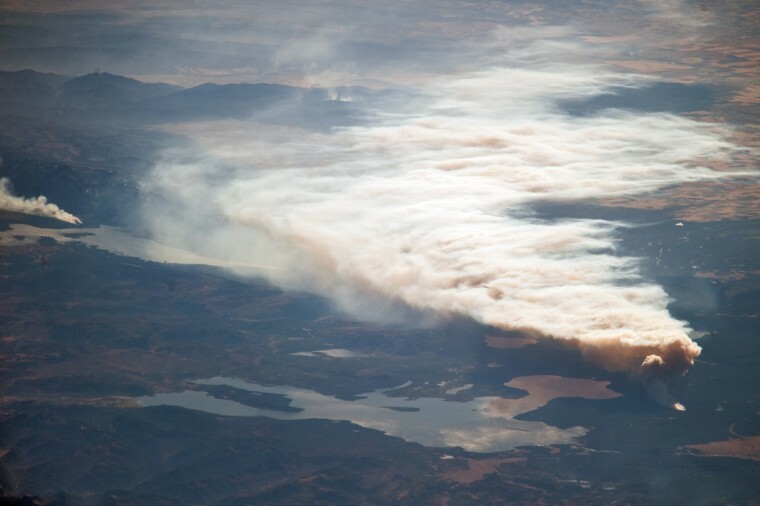 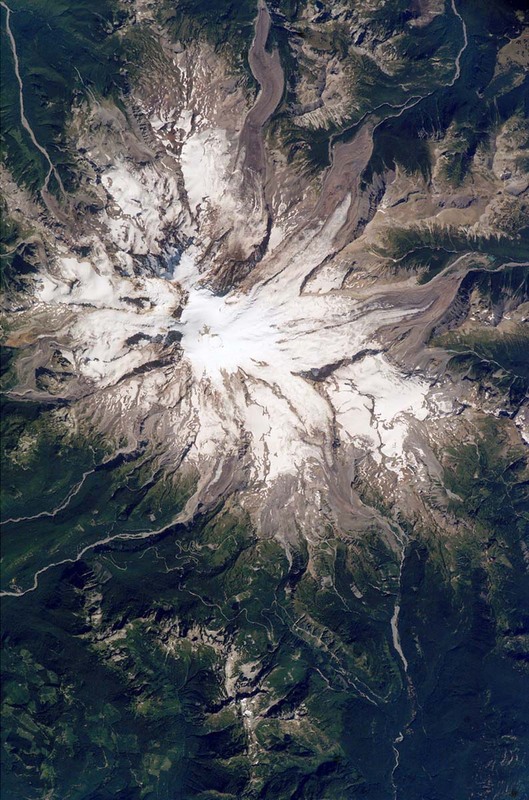 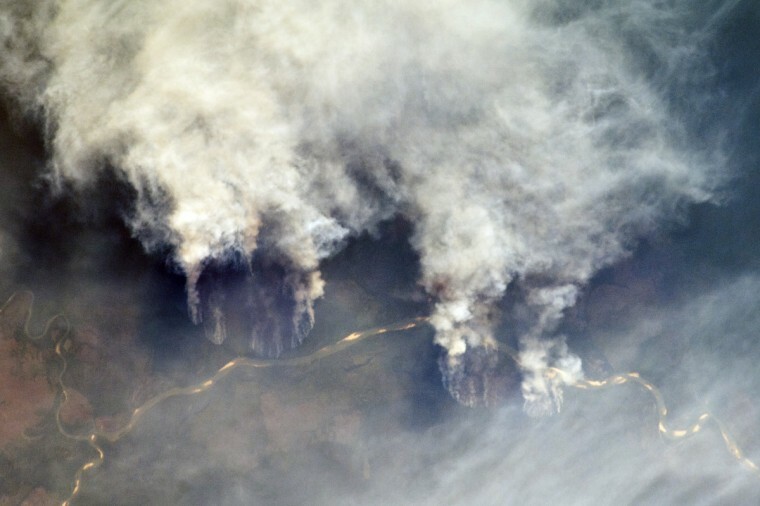 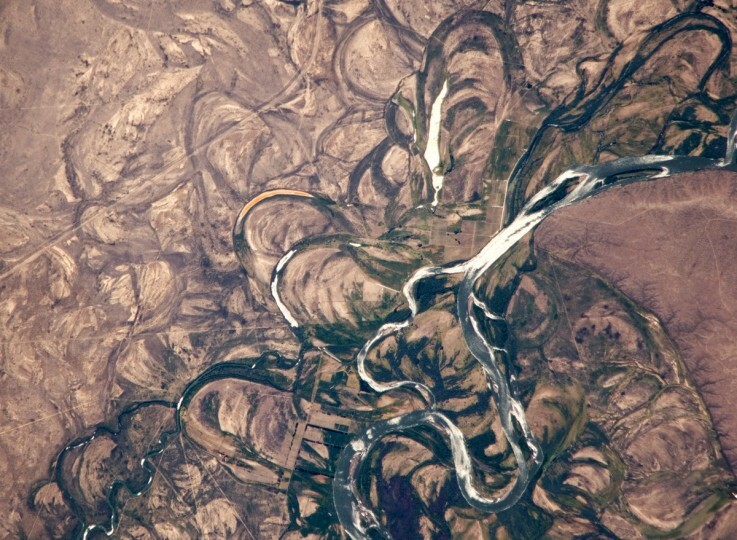 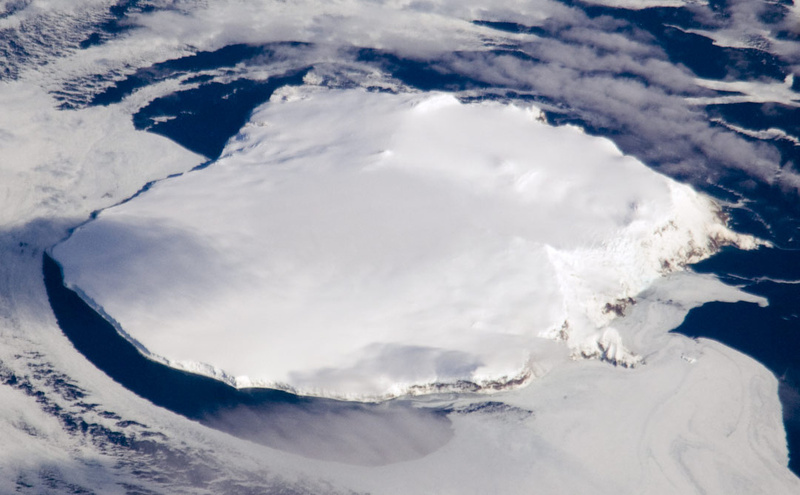 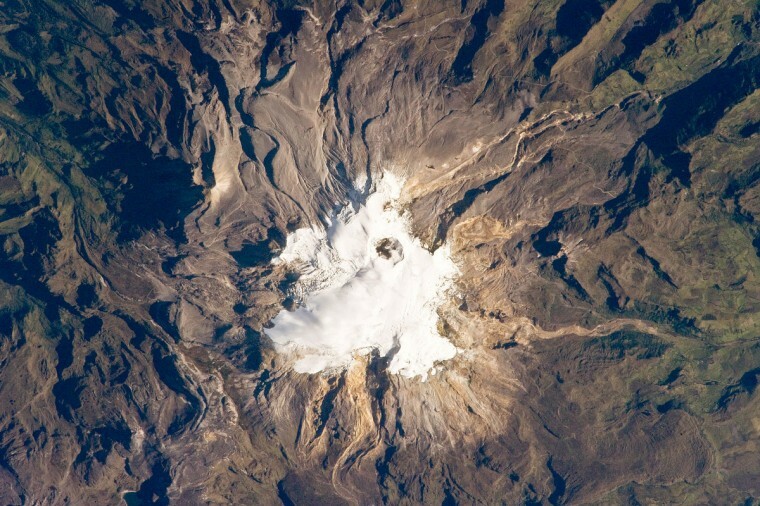 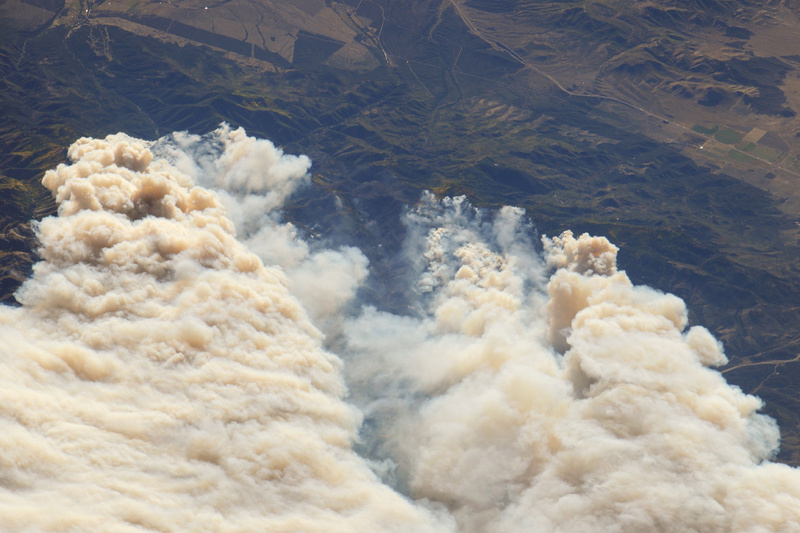 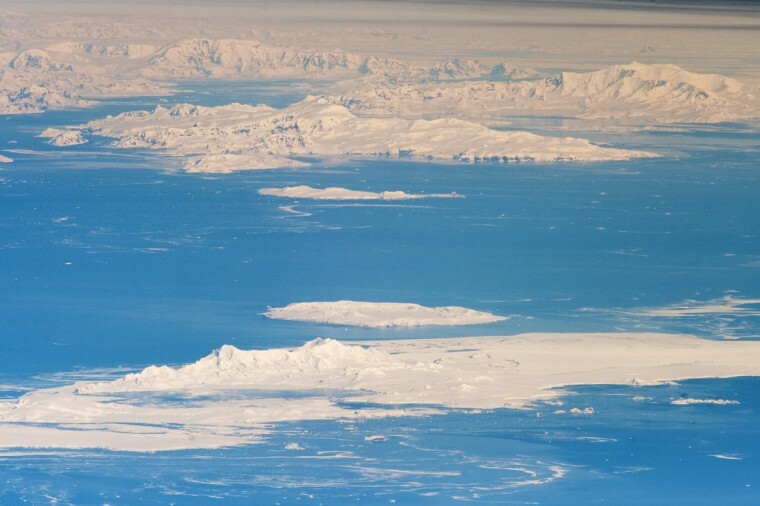 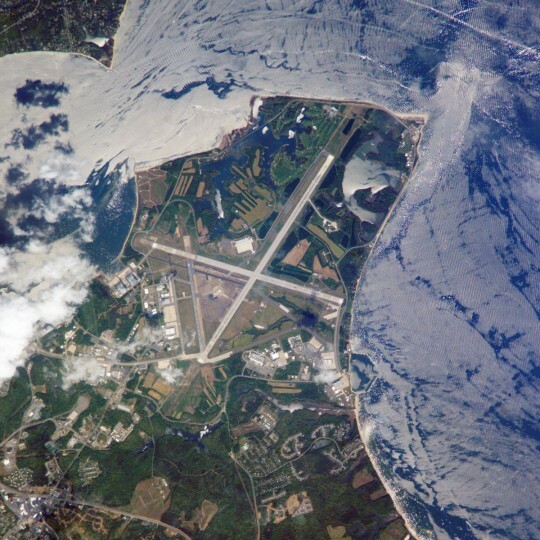 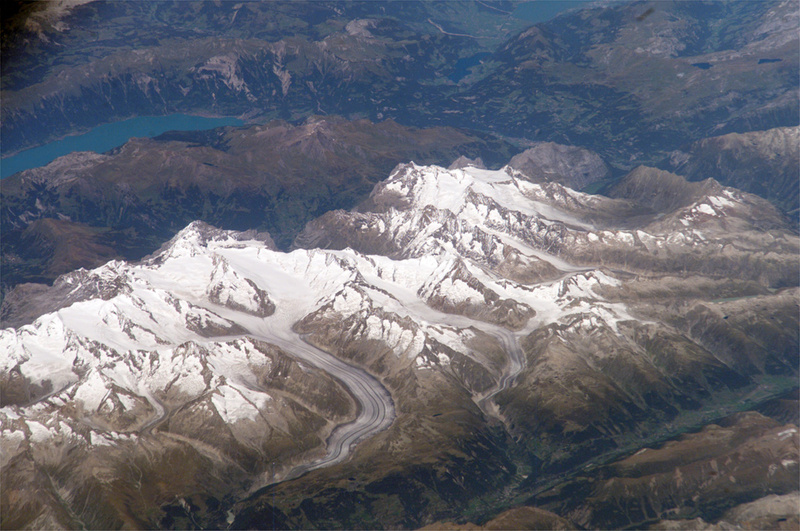 In this photograph captured with a digital SLR camera by NASA astronaut Douglas Wheelock, Earl had a distinct eye that spanned about 17 miles (28 kilometers). 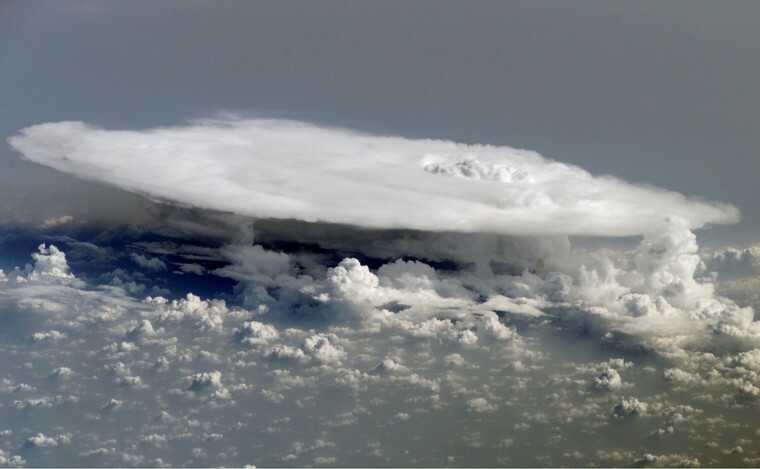 Most of the storm had a seemingly uniform top, though the bottom edge of the image gives some sense of the towering thunderheads forming over the ocean. 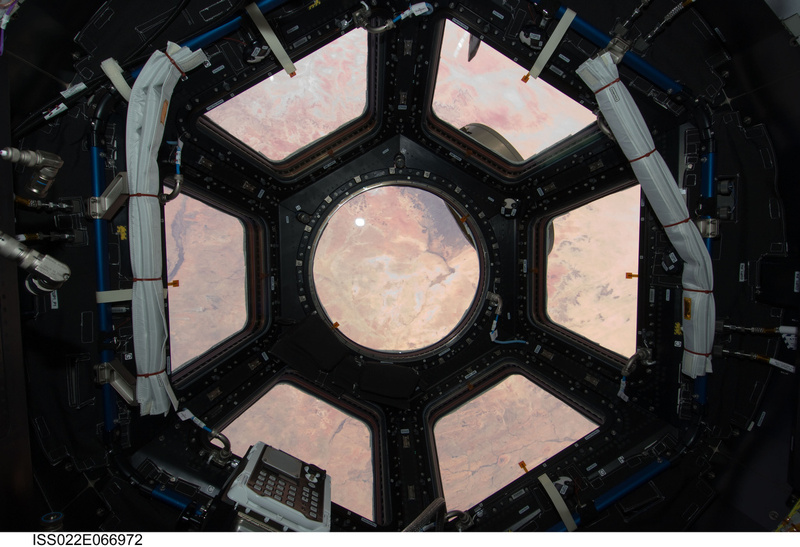 The solar panels of the ISS remind us that the sun is still shining, at least on ISS Expedition 24. 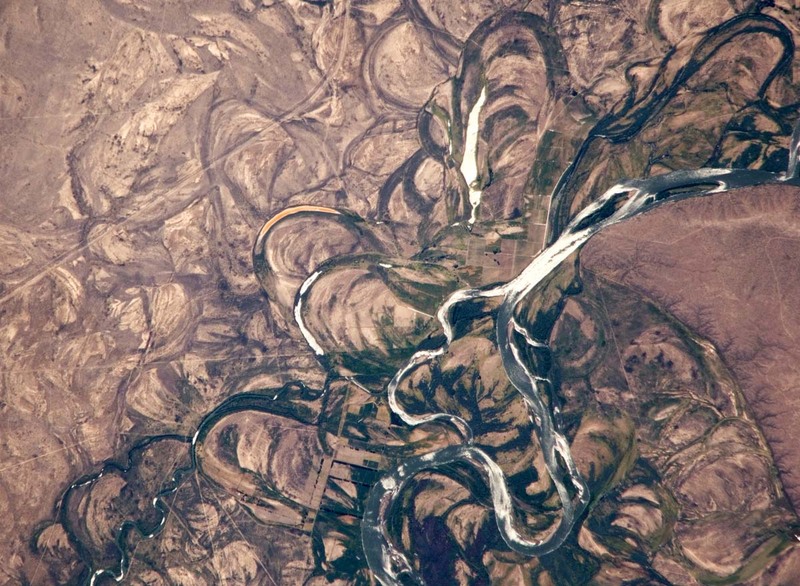 NASA astronauts have documented our planet since the early days of the Mercury missions in the 1960s. 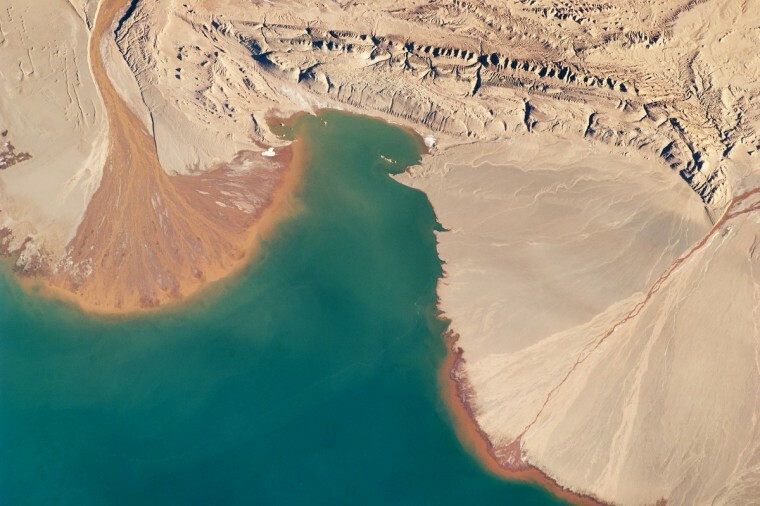 The photographs have been archived and comprise a database containing over 1.6 million images of Earth. 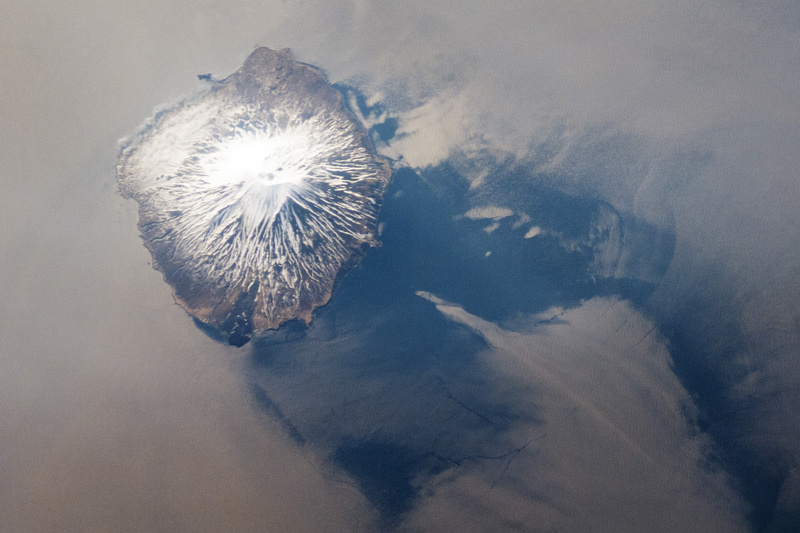 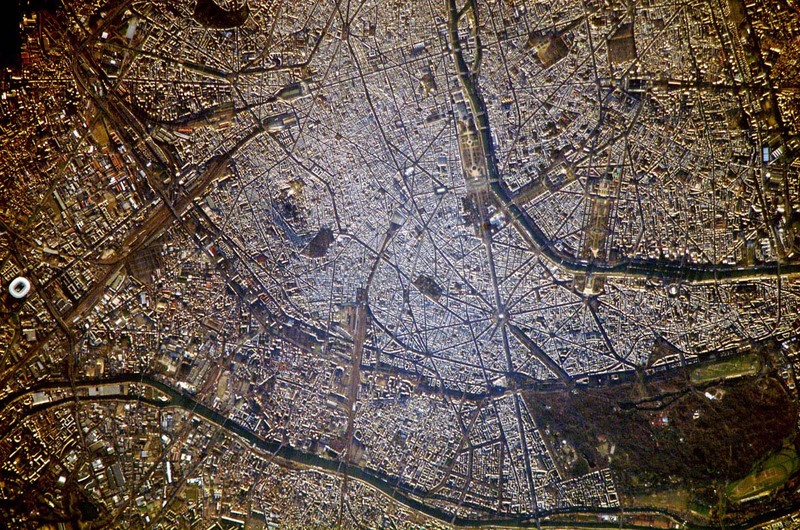 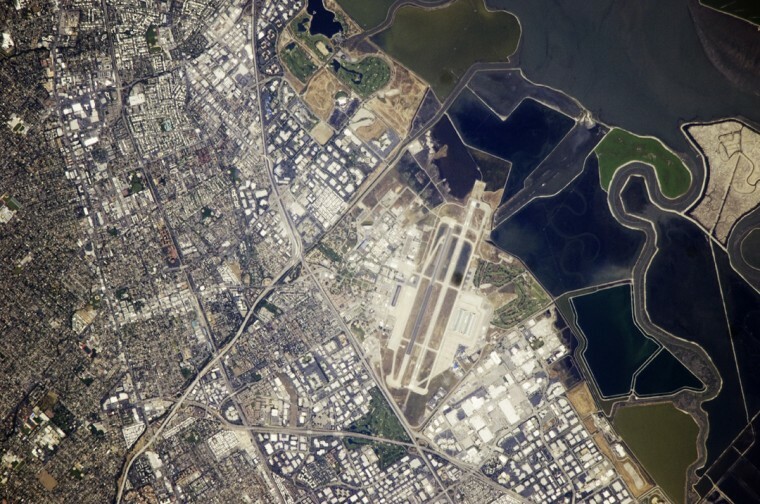 More than one million of those pictures are from the International Space Station (ISS). 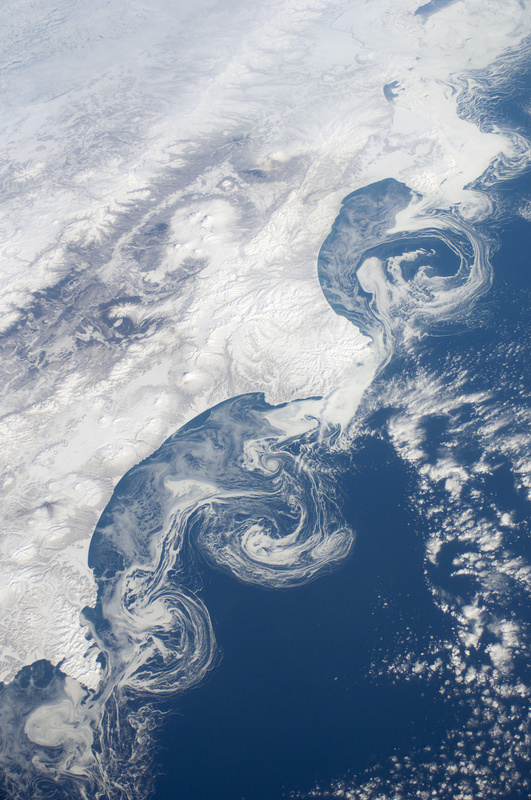 These images give us a dramatic bird’s-eye-view of the beauty and fury of mother nature, from majestic ice formations and stunning clouds to violent volcanoes and deadly mega-storms. 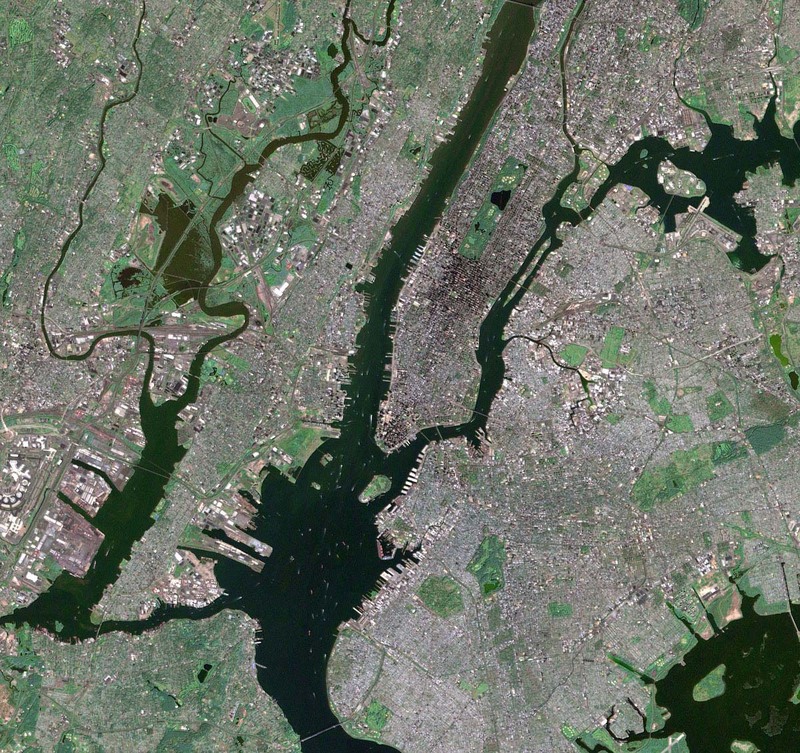 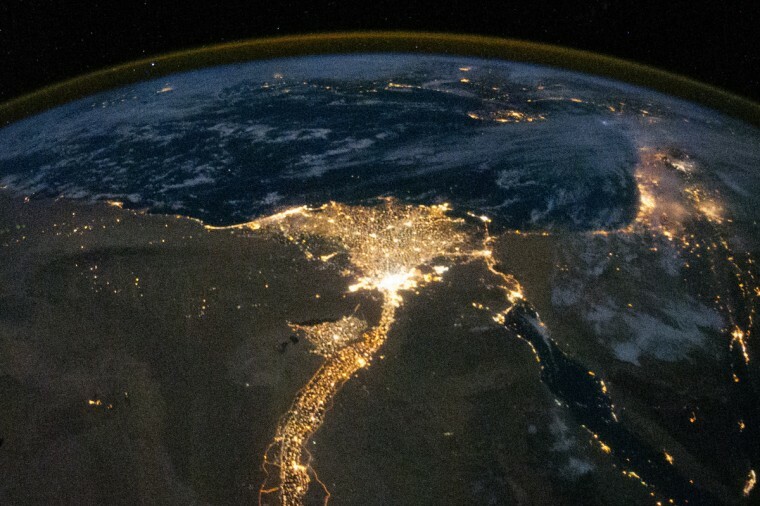 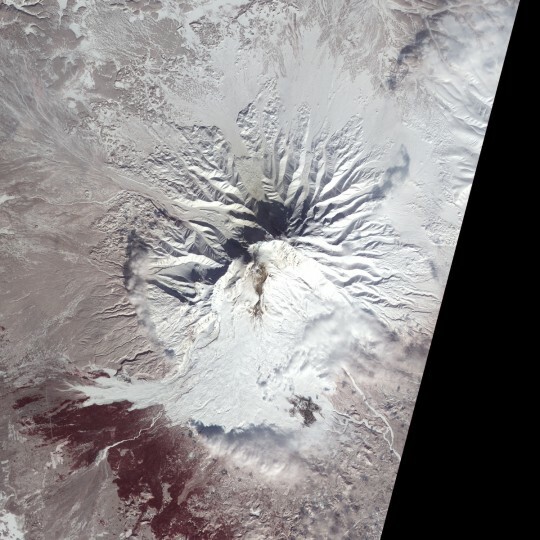 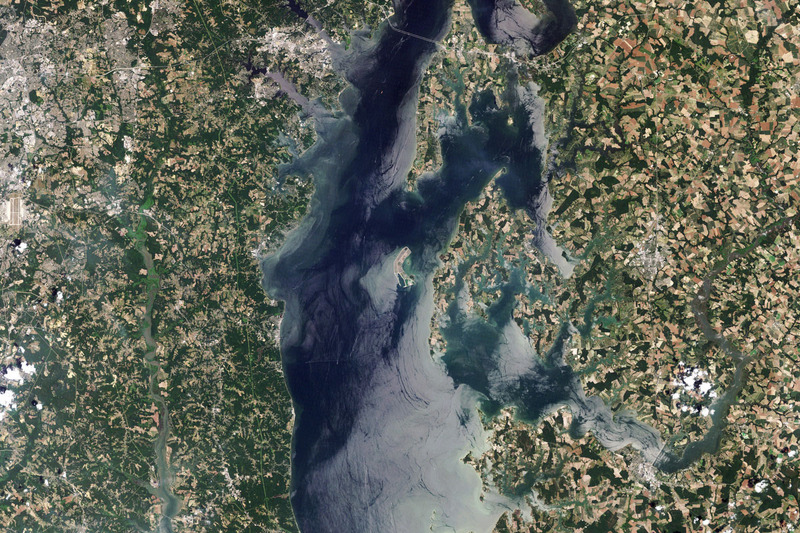 This unique view, which can be found on the NASA website “Visible Earth,” provides us with a gateway to a new perspective and unimaginable imagery.